Design your own wallpaper borders to add creativity, colour, and personality to your home. 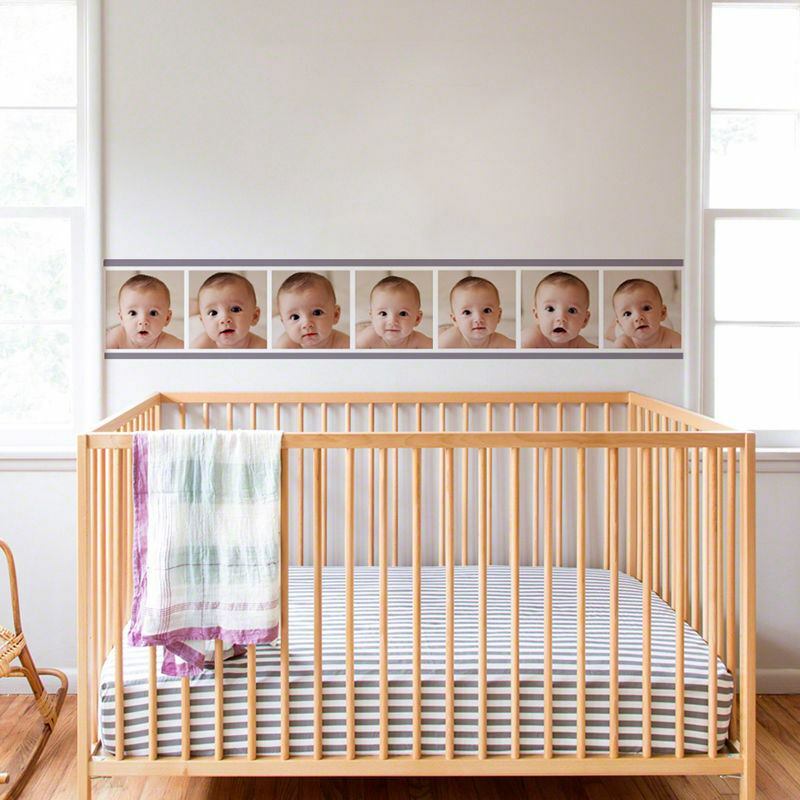 Customise with designs to complement your home décor; you could print a fun photo collage for kids wallpaper borders or recreate classic Victorian patterns and use as ceiling borders. Available in four types of wallpaper each with their own unique characteristics. Add the perfect finishing touch or create a modest statement. Wallpaper borders add the perfect finishing touch to a newly decorated room. They can also be used to change the appearance of a room without having to re-paper entire walls. Personalised wallpaper borders are the ideal alternative to a feature wall. Each wall border paper strip is 147 x 22cm, so make sure that you measure the total length that you need. For example, if the wall you're looking to personalise is 155cm wide, then you'll need two strips. 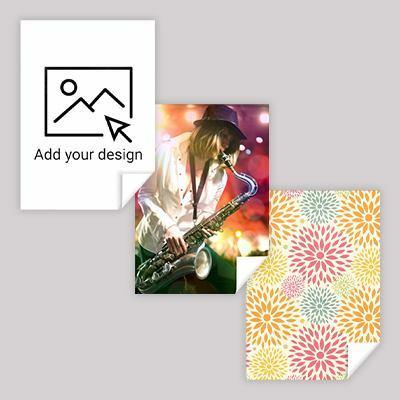 You can print a single design or create a photo collage for a funky photo memory wallpaper border. Upload your images and edit you design online to see your creation in our preview system before you order. Our wallpaper borders come in individual strips at 146 x 22cm, custom printed with your photos or design. All instructions on how to install your border paper are provided with your order, but we always recommend reading our Wallpaper Installation Guide for best results. Using a measure, measure the room or wall that you're looking to decorate with bespoke borders, so you only buy enough strips and don't end up with a lot of waste. It's always better to have a bit too much than too little, so compensate for errors etc and buy an extra strip. Upload your image, text or artwork then position your image until happy. If the low quality warning appears,ry scaling your image down, or adding a tile effect. 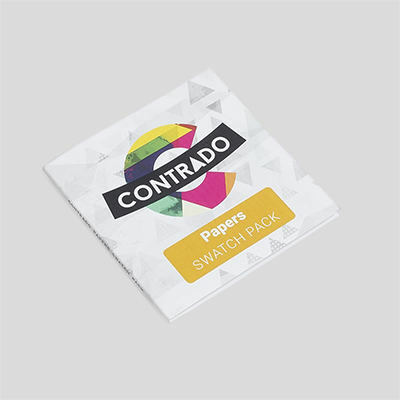 Standard: Our standard paper is a textured matte finish non-tear paper. With vibrant high quality print, colour fastness is guaranteed for 2 years in optimal condition (not in direct sunlight). Paste the back of the paper then hang. If covering a dark coloured wall, a lining paper or coat of white paint is recommended. Premium: Our premium paper is water activated, with a lightly textured matte finish. Spray the Wall installation (simply spray the wall and hang your borders, sliding them into place). Fade resistant print, 10 year guarantee, super sharp print quality, opaque paper. Brushed Textured: Quick and easy to apply, matte, textured finish. Tear-resistant and easy to clean. Paste the wall application. Long-lasting print, 10 year guarantee. Sharp, high quality print. Paste the wall, not the paper, meaning no need for paste table etc. Linen Textured Wallpaper: Quick and easy to apply, matte, with linen yarn embossed textured finish. Tear-resistant and easy to clean. Paste the wall application. Deep infused print, 10 year guarantee. Sharp, high quality print. Should you need to clean your bedroom borders, gently wipe with a mild, soapy sponge, using as little moisture as possible. Do not 'scrub' - whilst the inks will not run, a natural nap in the paper might become apparent. TIP! : We are here to advise if there is anything you need to discuss before installation. Once the material has been applied to the wall, the product is deemed accepted and cannot be claimed as defective due to variations in mounting, adhesives, handling, and local environment (including humidity, heat, weathering). Once you decide to cover the wall, we cannot be held liable for preparing or pasting wall. Please read our Wallpaper Installation Guide before attempting to install and feel free to Contact Us if you need more information. Like many of products, the custom wallpaper borders come with a quantity discount, so buy several strips to decorate your home and save money today. Your images and designs are printed onto your chosen border paper type. Deep printing technology ensures the colours of your print lock into the paper, ensuring a consistent and vibrant finish. Each strip is individually handmade buy our experts, carefully cut to size and shipped out within only 2 days. Give your home a touch of class and recreate Victorian style bedroom borders for the ceiling. This is a unique way to bring period features to modern houses. Use them to break up your bedroom, as a boundary between two different paint colours, or place above and below a traditional dado rail. There’s so many ways you can use our wide wallpaper borders in your home. Use individual border paper strips for each step for an original staircase design. Wallpaper Stair Risers are a great way of breathing life into a bare wooden staircase, and the contrast between the blank steps and the colourful risers creates a bold contrast that’s bound to get guests talking. Design your own wallpaper with your photos, images and text. Made to your specifications. Wall hanging custom printed for you. Design your wall hanging online in our design system and create something special for a new home gift idea.